I have to admit I am not a big fan of telemarketing to consumers using a cold list even though I do promote such data. Companies that use this method to attract new clients are normally separated into 2 types; those who have been doing it for a while and understand the limitations of the activity and those who are starting out trying to build a business or sell a new service that requires results quickly. The latter are regularly disappointed with the results and only repeat the activity once they explore other marketing avenues. Firstly, you can’t sell over the phone? Especially if the product or service is expensive or requires a great deal of involvement from the buyer. 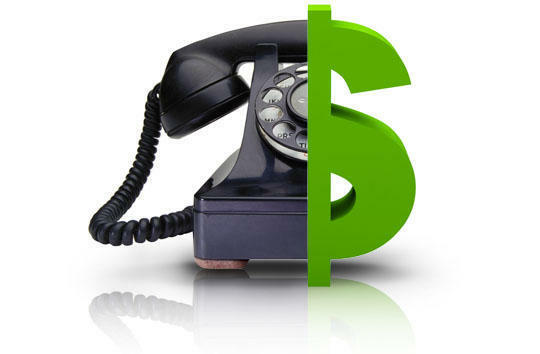 Companies who think they can telephone someone and convince them to invest in say property are just wasting their time. They need to invite them to a seminar or ask if they can send an information pack or a free property report etc. Then once the consumer has some trust in the company then they can progress further down the prospective buying line. Secondly, you will only contact approx. 10% of the list. So if you have a list of 2,000 names you will only get to talk to 200 of them. This is due to voicemails and the consumer screening your number to see if they know you and blocked numbers. If you are using a crappy list then many numbers will not be connected as they are out-of-date or disconnected. Thirdly, from 10% of the list, only 1-3% of them will have any interest in what you are saying. This obviously depends on the offer and whether you have selected the best possible people for your offer. Fourthly, if your list is made up of mostly landline numbers many of these do not get answered as most people only use mobile numbers now. Fifthly, overseas call centre type calls with the caller having a foreign accent just do not work. These days the consumer is well aware of the dodgy practices of some of these organisations and will hang up or make an excuse to get off the phone. You need the caller to explain quickly why they are calling and who they represent in a friendly local accent. If you are planning to use a call centre – use a local one. Sixthly, the list you are using must be washed against the Do Not Call Register. There are over 1 million people on this register in Australia and if you do not have them excluded from the list you are using you are breaking the law and could be up for a large penalty. So I hope this gives you some unbiased information regarding using cold consumer telemarketing lists. I do think there is a place for running such campaigns if done correctly and remember always set reasonable realistic expectations when using this type of data.